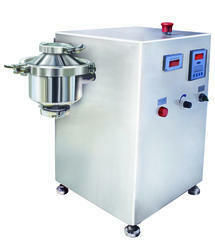 Pioneers in the industry, we offer double cone blender and cone blenders from India. Innovation is our forte and abiding by the same we manufacture high performing Double Cone Blender for Chemical Industry. 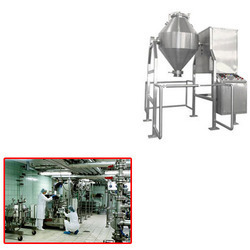 It is used for mixing material in proper homogeneous by adding the binder in granules. Our professionals perfectly design this product with its angle and shape in order to undertake proper mixing. Blending bin and Gear box output is coupled with Canti lever type assembly. Looking for DOUBLE CONE BLENDER FOR CHEMICAL INDUSTRY ?